Thais consider fun to be a basic value. They call fun sanuk, and an activity has to be fun. “That’s good! No yap yap yap!” A very Thai response. A woman in Bangkok also reacted in a very Thai way when she asked me the same question, “Are you gay?” Her laugh was like the fluttering of a sparrow, and she immediately said, “I’m sorry!” Her smile sparkled as brightly as the colored glass inlays in temples. She was from Isaan, which is in eastern Thailand. This area is poorer than the more staid Chao Phraya basin, where Bangkok presides. It’s on a plateau, rather than by a great river, and its soils are more barren. 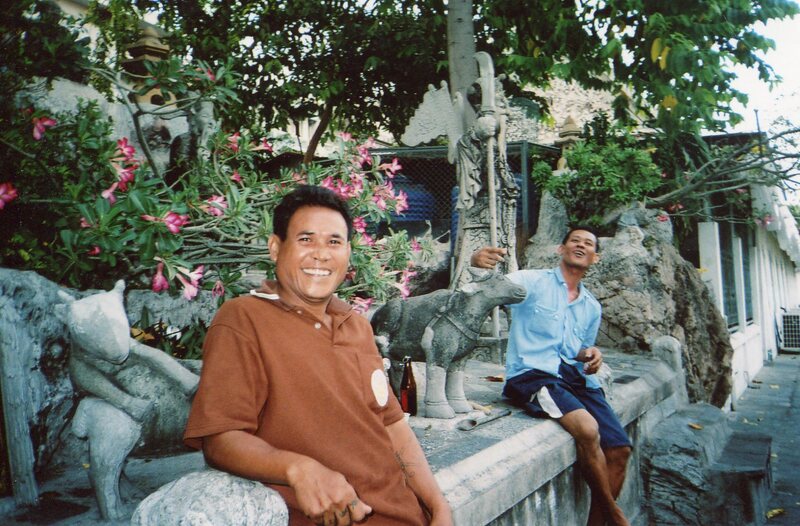 People come from there to Bangkok in search of menial jobs, and the city folks see them as country bumpkins. Some Isaan people are a little less reserved, so her spicy response wasn’t surprising. But her laugh and quick apology were utterly charming. After her little breach of protocol, she too affirmed my situation. This spontaneous burst of spirit and immediate reparation of the status quo is a common Thai pattern. Yeah, both people could be accused of fawning by affirming what they surely didn’t agree with. Most Thais’ worse fear is to be alone in the world–lonely and vulnerable to its unpredictable forces. I have Irish blood, and was California born, and I’ve loved my no-holds-barred studies and travels. 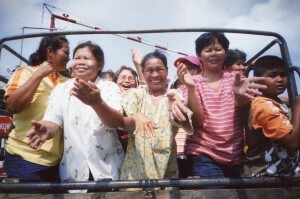 But most Thais couldn’t conceive of life away from the warmth and safety of the group. But Thai thinking tolerates and enjoys so much diversity that people don’t feel needs to confront each other. And both people were having fun with me. My driver too laughed, and often. I fell asleep in the back seat, and when I woke up, he said, “You sleep!” and chortled away. No matter how mundane something is, Thais can make it fun. Previous post: Graceful Geometry in Thai Art.